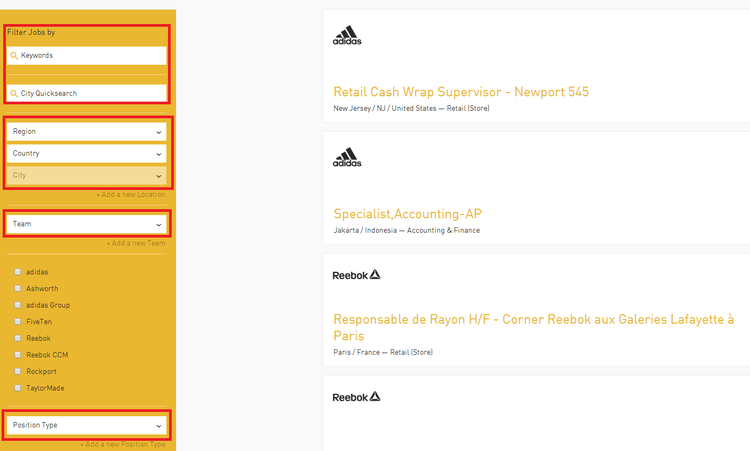 To apply for a job at Adidas online, you should first visit careers.adidas-group.com to enter the Adidas careers page. 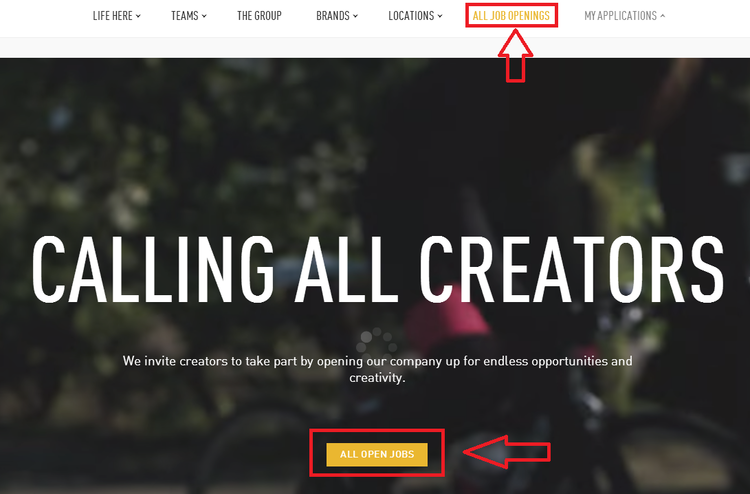 Then click the "ALL OPEN JOBS" button in the middle of the page or at the top navigation bar. Search for the concrete job opportunity to meet your needs by using the filter function, such as the job keywords, working area, position type, sub-brand companies, etc. 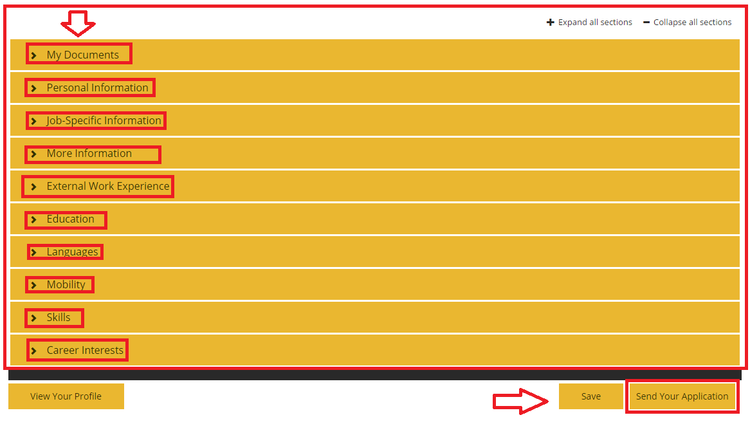 After choosing the criteria, you can get the search results at the right part of the page. Choose one of the search results and enter the page to see the detailed information about the job, like job description, qualification and requirements. Click "APPLY HERE" to apply for the job. You need to create a personal profile to apply for the job at Adidas. 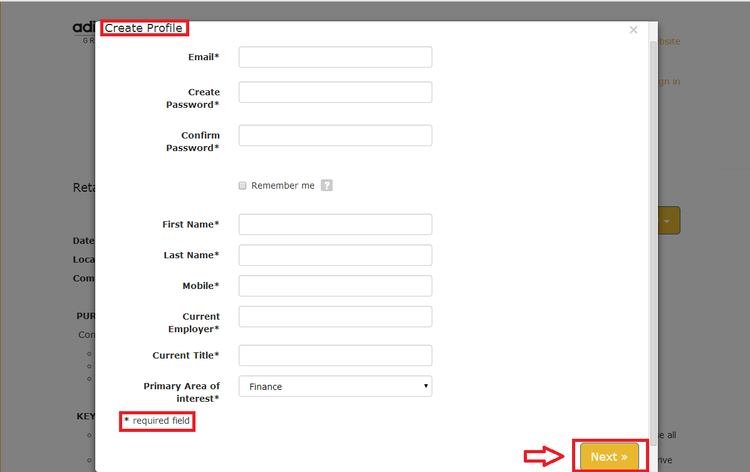 Enter a valid email address and fill all required fields. Then click "Next" to save your profile. Choose the country of residence and profile visibility. Read the data privacy statement and accept it. Provide as much information as possible to let Adidas Group know you better. Upload a personal resume and cover letter by selecting "My Documents". Complete the personal information and job-specific information part. Other parts are optional. After completion, send your application to finish the whole progress. Click adidas.com/jobs to apply for Adidas jobs online.